Summer Windows are a Bristol based family run business that prides itself upon the reputation it has built over the last 11 years, supplying and installing quality uPVC approved products within the Residential and Commercial sectors throughout the South West. We undertake all aspects of work within the glazing industry from a misted glass unit being changed, a window handle or hinge set replaced, right up to a customised design and build programme for your new conservatory or extension. We have experience within all areas of the building trades such as plastering, rendering, plumbing, bricklaying & carpentry. 95% of our work is generated by 'word of mouth' from previous customers and we believe this is THE best form of promotion for us as a company. We recently joined Checkatrade as this allows potential customers to see exactly why our work is generated from previous customers experiences. 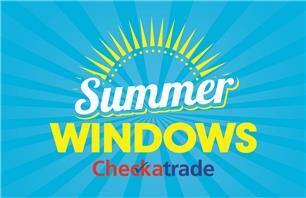 We DO NOT use salesmen, and feel that every customer should have that 'personal touch' when having us work on their property, therefore should you choose Summer Windows to quote for and install your new items you will meet the company director, liaise with the company director and your new products will be installed by the company director and his team.